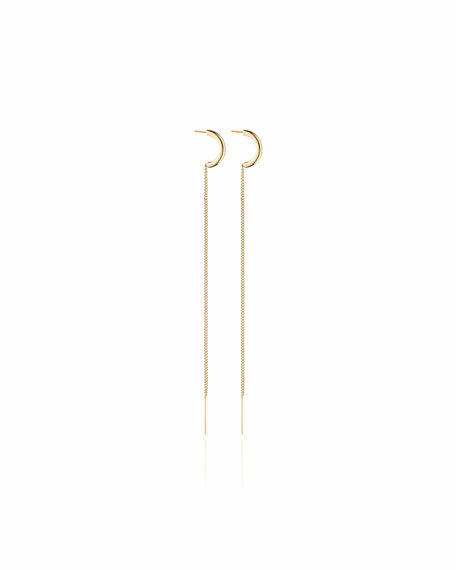 Vita Fede "Luna" chain drop thread earrings. Hoop posts with elongated stick drops. For in-store inquiries, use sku #2132729.